Romelu Lukaku scored twice as Belgium cruised to a 3-0 victory in their first UEFA Nations League encounter against Iceland on Tuesday night. Eden Hazard opened the scoring from the penalty spot in the 29th minute in Reykjavik, as Belgium played their first competitive game since beating England in the third-place play-off at the World Cup, before Lukaku, who had won the penalty, struck himself two minutes later. Iceland were chasing a first win in the competition after losing their League A opener against Switzerland on Saturday, but could not find a way back into the game in the second half, before Lukaku's smart finish sealed the victory nine minutes from time. Spain followed up their win over England on Saturday with a 6-0 hammering of Croatia, who conquered Gareth Southgate's side in the semi-finals of the World Cup, in Alicante. 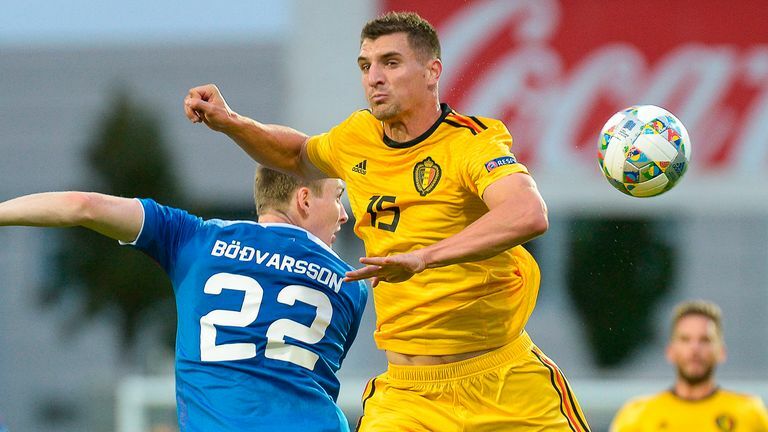 Elsewhere on Tuesday night, Bosnia-Herzegovina secured a late victory over Austria in their League B clash thanks to Edin Dzeko's 78th-minute effort, which put them in control of their group after beating Northern Ireland at the weekend. There were wins in League C for Finland and Hungary. Finland saw off Estonia 1-0 thanks to Norwich striker Teemu Pukki's first-half effort, while Hungary beat Greece 2-1. Roland Sallai put the Hungarians ahead in Budapest before Kostas Manolas pegged them back, but they sealed the win shortly before half-time when Laszlo Kleinheisler struck from the edge of the area. In League D, Luxembourg ran out 3-0 winners in San Marino and there was a goalless draw between Moldova and Belarus.